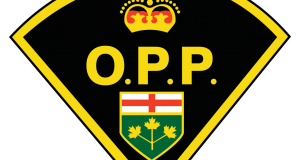 On February 3, 2019 at approximately 6:00 a.m. officers of the Ontario Provincial Police (OPP) Marathon detachment received a call regarding a motor vehicle collision on Highway 627 involving a possible impaired driver. Officers attended the area and located a white 2005 Chevy Silverado in the north bound ditch. The female driver and one female passenger were still in the vehicle when police arrived. After further investigation it was determined that the driver and passenger were impaired by alcohol. Both females were arrested and transported to the Marathon OPP detachment for further investigation. 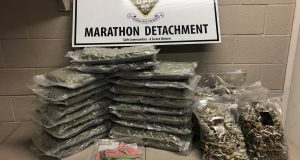 She was later released on a PTA with a court date of February 21, 2019 in Marathon to answer to the charges. The female passenger, 31year old Dayna DESMOULIN of Pic Mobert First Nation Reserve, ON was charged with being intoxicated in a public place. She was later released unconditionally.